Being Human Jewellery partners with Mumbai based Style Quotient Jewelry Private Ltd to Launch Its First Exclusive Store In Chandigarh, India. An exclusive jewellery store for the millennials, with pieces which are sleek, stylish and trendy, yet simple and affordable, that too with blessing from their heartthrob, Salman Khan. 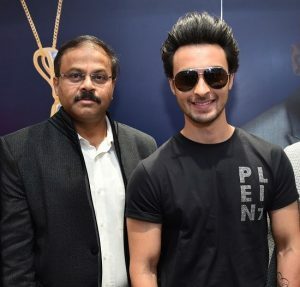 Delhi based businessman and Bollywood actor Aayush Sharma, who made his latest Bollywood debut in the Salman Khan Films Production, Loveyatri, cut the ribbon to open the new world of exclusive Being Human Jewellery to the public. Aayush is also Salman’s brother-in-law, he got married to his sister Arpita Khan. 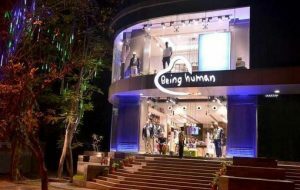 The Being Human brand has collaborated with Mumbai based Style Quotient Jewelry Private Ltd for the opening of its first exclusive franchise designer store in the north Indian city of Chandigarh. Being Human – The Salman Khan Foundation has teamed up together with Mumbai based Style Quotient Jewelry Private Ltd. to present Being Human Jewelry’s first exclusive franchise store in Chandigarh. Being Human Jewelry’s Franchise store in Chandigarh was introduced by Bollywood Actor Aayush Sharma, who made his bollywood debut in 2018 with the Salman Khan Films Production – Loveyatri. The jewellery store facilities an diversed range of fine gems, diamonds and gold ornaments taking into account differed tastes of consumer. Meticulously designed , Being Human Jewelry involves light-weight collections in plain gold, precious stones, and shaded different colored stone pieces. The designs are great, jazzy, particular and reasonable, taking into account each lady’s preference for fine jewellery. Being Human Jewelry is specially designed and made in certified natural diamonds and crafted in 18 karat gold and 22 karat diamond jewellery, 22 karat plain gold jewellery and diamond jewellery with coloured stones. Each jewellery piece of Being Human Jewellery is available in a special box – every time a woman adorns Being Human Jewellery, Salman Khan’s inimitable voice thanks her for buying the jewellery. Style Quotient Jewelry Private Limited, are designers of flawless adornments, lodging different brands under one umbrella. This brand is working under the authority of Prasad Kapre, an incredibly famous visionary in the Indian Jewelry Industry. It is their undertaking to make extraordinary brands and feature to the world, India’s talented craftsmanship, and design capabilities. The store was inaugurated by Bollywood actor Aayush Sharma and will house a range of fine jewellery comprised of lightweight collections in plain gold, diamonds, and coloured stone pieces. Style Quotient Jewelry Private Limited, the organization holding the worldwide licensee of Being Human Jewelry has a forceful development plan for Being Human Jewelry and plans to set up establishment stores the nation over in the coming months. Being Human Jewelry was remarkably launched in 2016 on the event of Salman Khan’s 51st birthday and is currently available at leading jewellery stores and sold exclusively online on Amazon. After Chandigarh, Being Human is also planning to launch around six to seven exclusive stores – by the end of the current financial year in other tier 1 cities like Lucknow, Bhubaneshwar, Jabalpur, etc. It has already recently partnered with Damac Group to open 100 strores in the Middle East countries. The next strategy is to build a strong presence and stronghold in global markets like USA, Europe and South Africa.